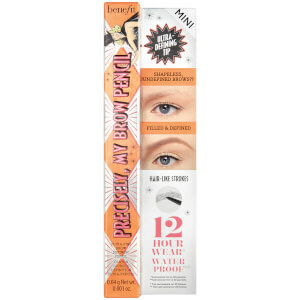 Enhance your brows with benefit's Precisely, My Brow Pencil, a waterproof* mechanical eyebrow pencil with twist-up tip and built-in spoolie. With an ultra-fine tip and rich, blendable colour, the pencil glides effortlessly through the brows, filling out uneven patches whilst defining their natural shape. No need for sharpening, the precision pencil delivers the perfect amount of colour when applied with a feather-stroke finish and delivers 12 hour wear**. Use the integrated spoolie to blend for a professional finish. *Instrumental test on 22 panelists. **Instrumental test on 23 panelists. Apply brow pencil onto brows using light, short strokes. For extra definition, use longer, horizontal strokes along the base of your brow. Blend with spoolie. Perfect brow pencil, shapes brows naturally, shades thinner areas and colours any grey hairs! Yes it's expensive - you don't get a lot of product for the money, but it works so well! 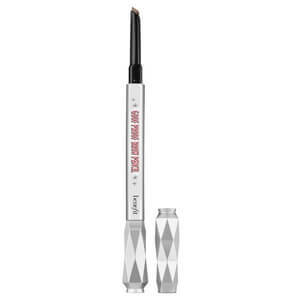 It is a firm texture, as other reviewers have pointed out; but if you start at the outer ends of the brows and work inward towards the nose it is much easier. You have to draw in the hairs in tiny little strokes (lovely Benefit counter assistant showed me how to use it). It takes a few minutes but the result is defined yet natural. 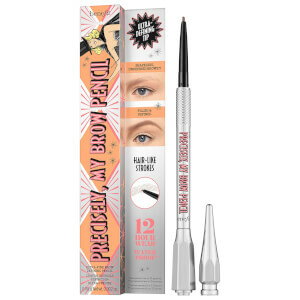 Benefit do seem to have a problem manufacturing enough of this product, so my shade is often hard to get hold of, but it's worth the wait. Excellent product, easy to use , good result. Wish it lasted longer. Disappointed with this, the actual product snapped the first time I used it. I didn't press down hard and I didn't have lots of the product rolled up. I cannot use this anymore and wasted my money. Very expensive for the quality. I bought this after using Brow Zings and had high hopes. After my success with brow Zings I thought this may just give me the same results but cost me another lump of money. 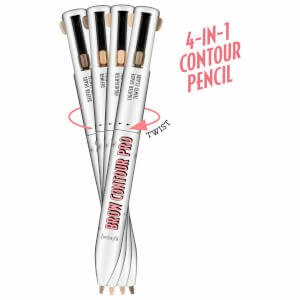 This pencil on its own gives you fabulous, fast and fuss free results for an everyday look but teamed with brow Zings gives you an ultra defined glamourous look for night time (or any time.. I just can't be bothered)!